The G5220 Electromatic Jet BT Single-Cut with "V" Stoptail delivers Broad'Tron(TM) power with classic Jet clarity. "This is a awesome rock and metal machine!!!!" Overall: I love this guitar i have les pauls, teles and a black beauty and a couple of strats . But all i got to say is this is my go to guitar now. I play old school punk and this guitar has a unique voice that soars with clarity and gets growling and dirty as well. 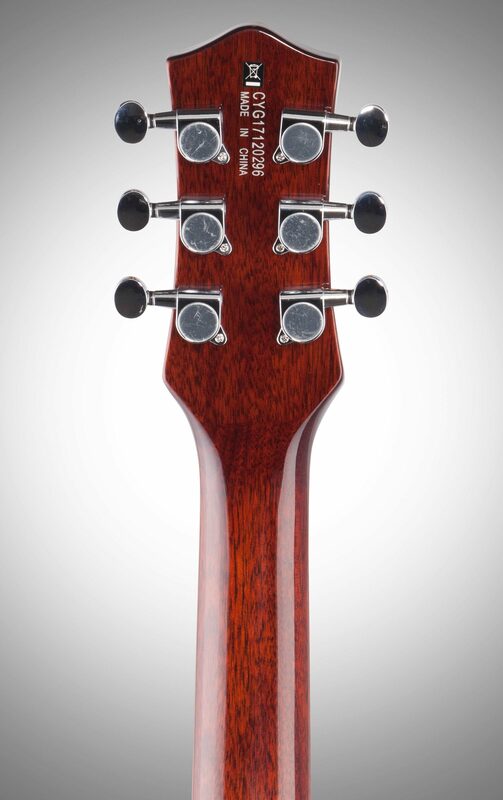 The craftsmanship is something you would expect on guitars double this price and the set up was perfect out of the box. I couldn't be happier with this guitar i got the gold top and it is beautiful...the mahogany back is gorgeous and the gold is just sophisticated to the max. The black broadtron pick up are power houses and yet can switch to a jazzy tone just as easily as it can lay down all your Black flag and circle jerks power chords. The neck is very interesting it has a really flat feeling finger board the radius feel you get on gibson and fenders is non existent. However this lends itself to fast lead runs boarding on a shredder guitar...buy this guitar if you want a unique sound that wont let you down and at this price point it cannot be beat. 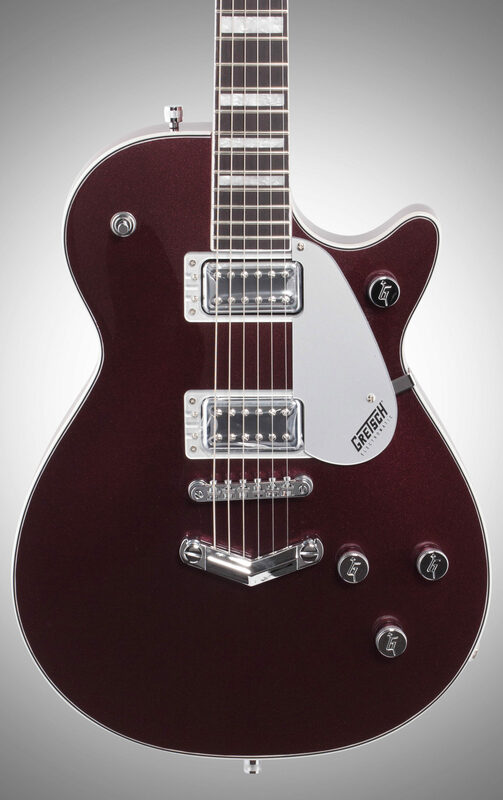 "That Gretsch sound at an affordable price"
Overall: I’ve always wanted a Gretsch but had a had time playing them thier bridges are setup so high. Not this year. 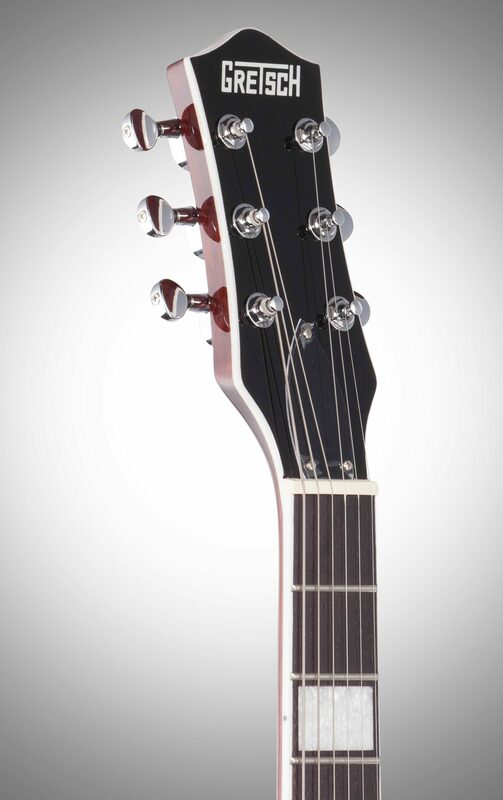 These new Gretsch guitar have a much lower neck that makes them so easy to play. 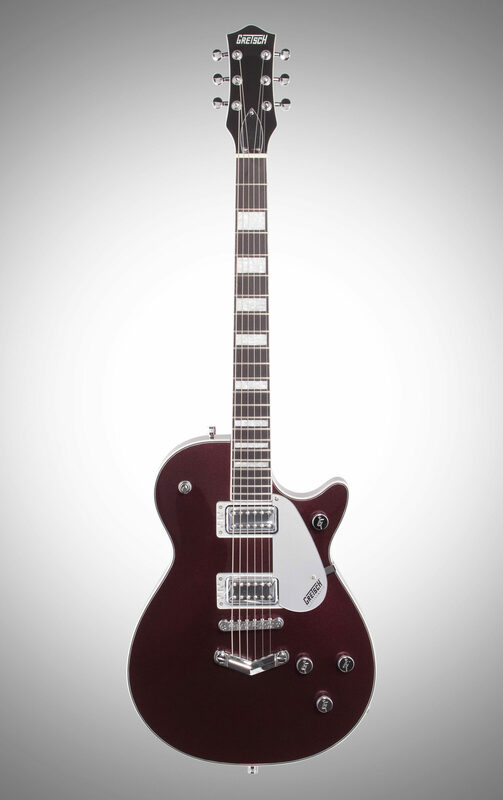 A lot of the YouTube reviews say that this Gretsch guitar is a Gibson killer, even though I can not agree 100% with that statement, it can go toe to toe with my Gibson Limited Edition at 1/4 of the price. 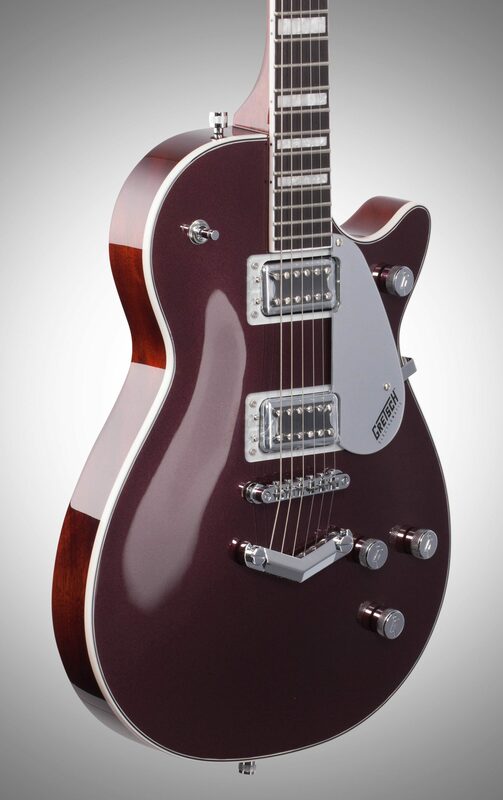 Which is a complete and pleasant surprise because this Gretsch immediately became my #2 go to guitar. 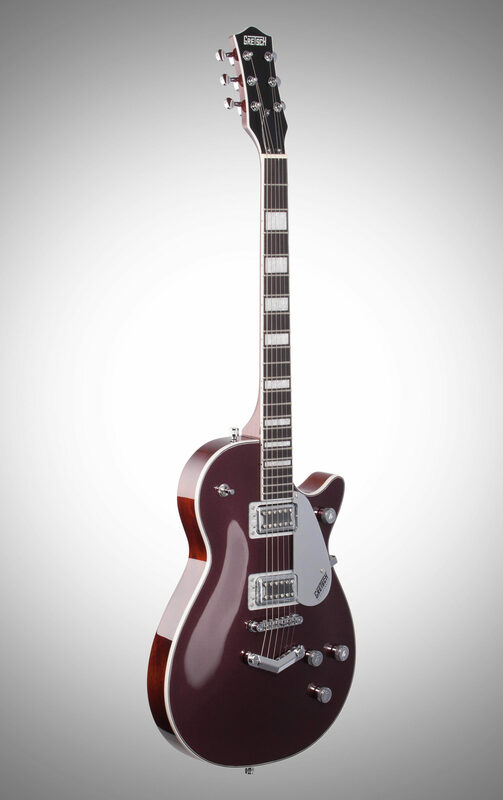 The resonance the hollowbody produces is amazing, yes the Gretsch guitar is a hollowbody. I find myself actually playing the guitar unplugged for some time before I feel the need to plug it in. The binding on the body, neck and head stock a well done. Hardware feels top notch and I’m really digging the selector switch, might have to find something similar and install it on a couple of my Gibson’s. The controls are a bit different from what I’m use to but it’s not a bad thing, I’m actually enjoying having a master volume knob. Overall this is an amazing guitar for the price. This is my first Gretsch and I will not be my last. 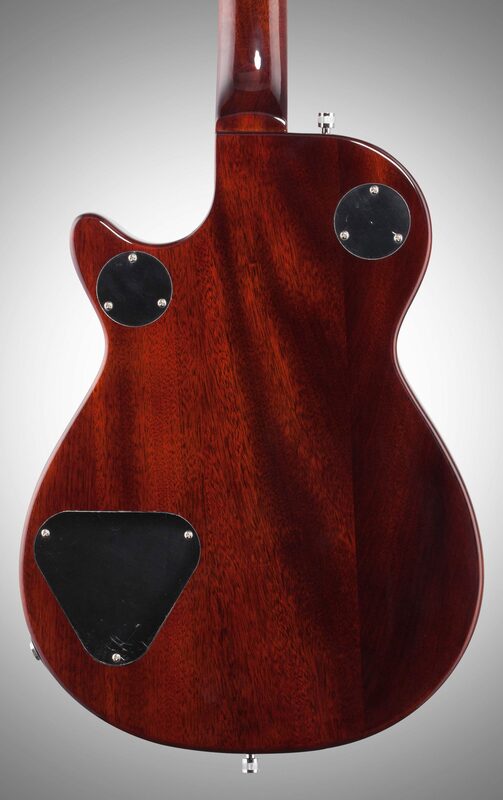 If you are looking at this guitar and you are not sure or on the fence about it, don’t be. This is definitely money well spent and it is definitely not leaving my collection.